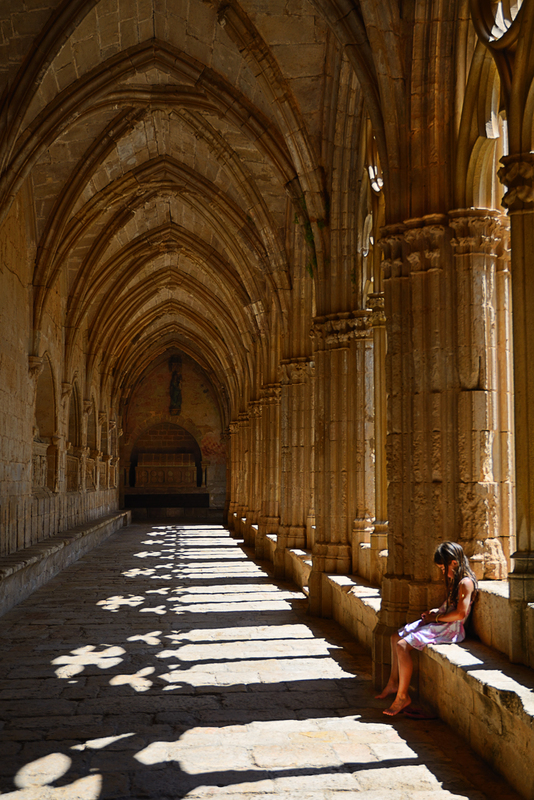 This splendid Gothic cloister arcade can be admired at one of the gems of Cistercian art in Catalonia, the Santa Maria de Santes Creus monastery (1160). Cistercian architecture is well known for its austerity, following the precepts of Abbot Bernard of Clairvaux (St. Bernard), who was against any sort of superfluous adornment that distracted monks from their religious path. Although the original cloister was Romanesque in style, most of it was demolished and replaced by this sober but admirable Gothic architecture.